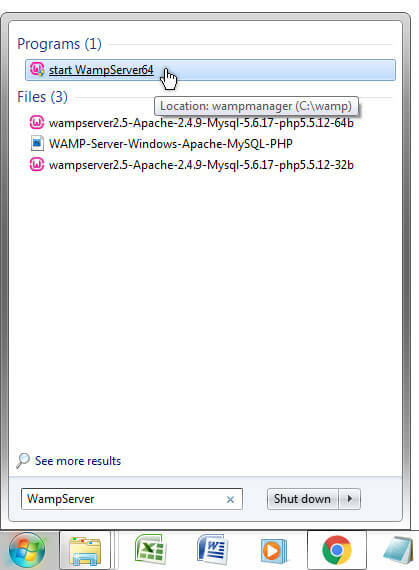 WAMP, also known as WAMPserver is a free localhost server stack comprising Apache, MySQL and PHP for Windows. It is ideal for learning, testing and developing websites without having to use a remote web server. I use WAMP personally and professionally for my WordPress websites because it allows me to experiment with code, design, plugins and frameworks all within the safety of what you could compare to a sandbox. In my opinion, it is dangerous to do major maintenance tasks on a live website. The larger the website, the more there is to lose. If you don’t like nasty surprises, use a localhost. Developing your site in a safe environment means there can be no inconveniences. WordPress websites are particularly vulnerable to attack on a remote server – more so when you’re rebuilding or repairing parts of it live. WAMP acts kind of like a shipyard and a pit stop. Build out your site and launch when ready. Clone a copy of your live site and examine it. Share a project with a team of developers. There’s so much you can do and it costs nothing. 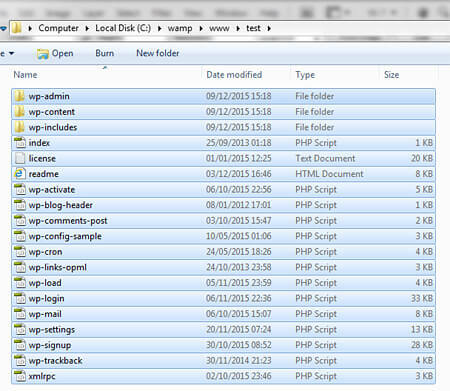 WAMP has become my preferred localhost software because it can handle multiple installations of WordPress. Of course, you can install whatever content management system you like, whether it be Drupal, Joomla or Magento. Or you might not want to use any type of CMS at all. When I started using WordPress a few years ago the localhost I used exclusively was InstantWP because it is free, requires no installation and is “portable”, meaning you can copy it to USB flash drives and run the software directly off the drive. However, WAMP has better stability and is more widely supported. If you tend to do all your development on one computer it’s arguably a better choice. 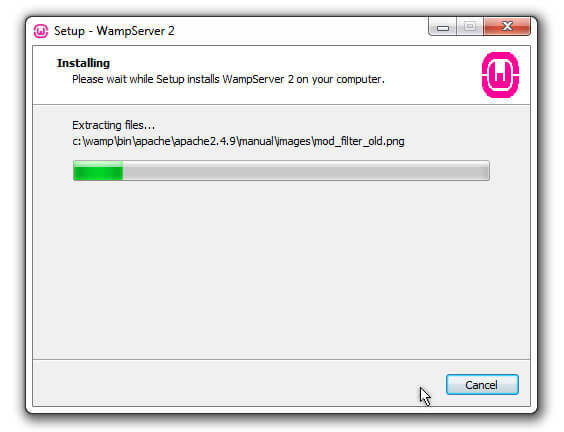 WAMP requires installation from either a 32-bit or 64-bit .exe. It’s a bit more work than InstantWP but it seems to pack more punch. It is better for bigger projects. If you’re collaborating remotely with another developer, transferring the databases and file directories is simple (more on that at the end). While you can install any CMS you want, I’m going to go with WordPress. You might not actually want to install a CMS, which is fine. If you have HTML or PHP webpages, these can be used instead. If you already know that you don’t need to install a MySQL database, ignore the parts of this guide about phpMyAdmin and databases. Visit http://www.wampserver.com/en/ and scroll to the Downloads section. You have the option of either a 32-bit download or a 64-bit download. If you’re unsure what kind of operating system you’re running, you can safely download and install the 32-bit exe on any Windows 7 OS. If you have Windows 8 or Windows 10 I’m afraid I cannot help you with that, although the WAMP forums might offer the right information. To be sure about the type of operating system you’re running, click the Start button, right click Computer and choose Properties. 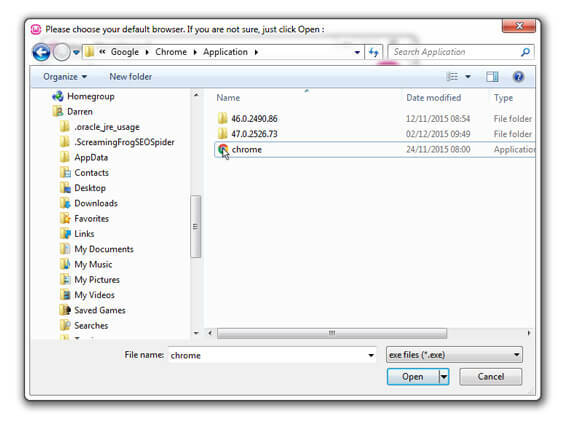 From there you can get the information about your Windows 7 installation. 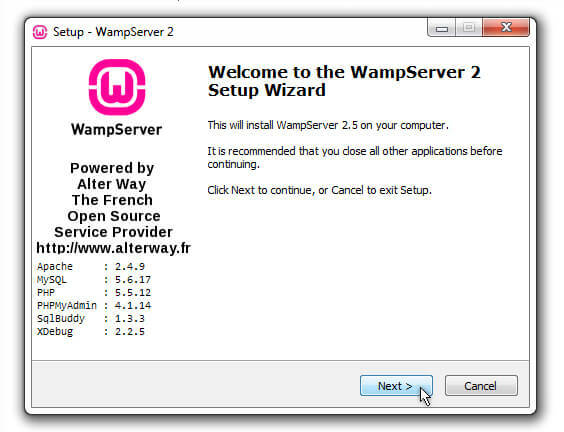 Before you can download your chosen WAMP installation package, a popup like that below will warn you about compatibility with older versions of the software. 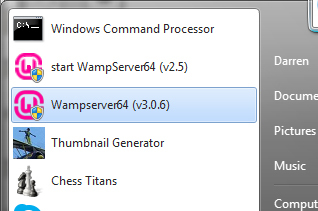 WAMP has since been updated so it will be a little different in so much as the version numbers will have changed. Click the orange “download directly link” and choose a location and save the package when prompted.. Double click the setup file. 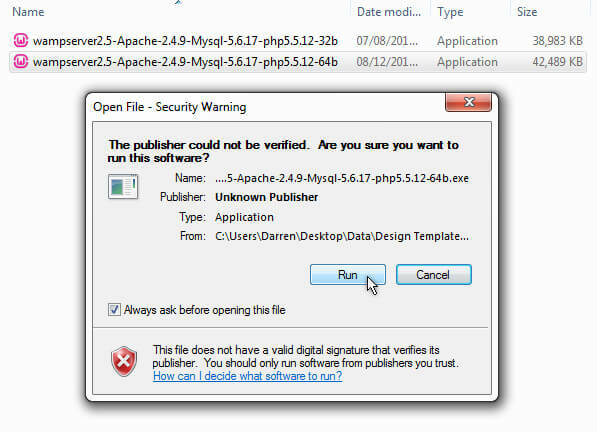 If you experience the warning message in Windows 7 informing you the software lacks a valid security certificate, you can ignore this. It is safe to run the software. Next you’ll see the setup wizard welcome screen with details on the exact versions of what will be installed as part of WAMP. Follow the on-screen prompts and decide what location you’ll use for the software. By default it uses C:\wamp\ but you can change this. The software will install and then you’ll be prompted to choose what browser to use. By default it suggests Internet Explorer (bad idea!). When prompted, navigate to your preferred browser. Next, you’ll see a window asking for PHP mail settings. You can leave the defaults settings. You’ll see a message telling you the setup wizard has completed. Now you can click finish. Missing File Error During Installation? If you get a message telling you that vcruntime140.dll is missing, you might need Microsoft Visual C++, so download the latest version of that. You can the Visual C++ 2015 version here. 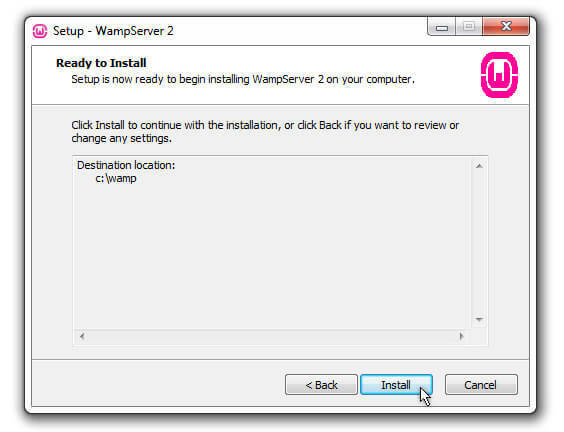 Uninstall WAMP fully first and restart your PC. Before you launch WAMP, I should point out there are conflict issues with Skype. Skype conflicts with WAMP because they both try to use port 80 by default. If you are running Skype (the classic 7.41 version), let me share a quick tip that will allow you to run it at the same time as WAMP without any problems. You might want to restart your computer at this point. 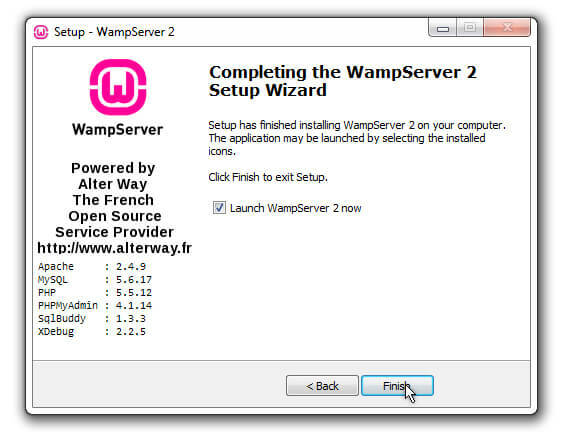 You can launch the software by searching for WampServer in the Windows 7 Start Menu. Click the icon and direct your attention to the Windows system tray on the lower far right side of your computer monitor. You should see a green “W” icon. If you do not see the icon at all, it might be hidden in the mini flyout menu denoted by the small arrow. You can drag and reposition the “W” icon in your system tray. When you launch the software, the icon should turn green, but often it will not. Sometimes it will jump straight to green, other times it will slowly change to green through red and amber. Red is bad, amber is bad, green is good. Seeing the green icon indicates all services have successfully started and most of the time this will be the case. But what if your icon is stuck on red or amber? A red icon means something is blocking port 80. 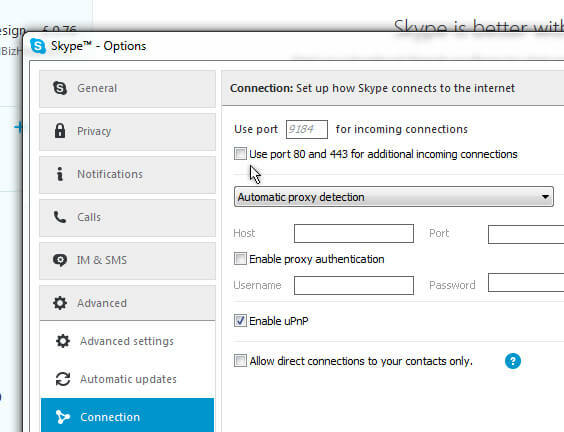 Try the Skype tip I mentioned. If you’re running a firewall or antivirus software, try disabling it. An amber icon colour means the Apache services have not started. You could try the Restart All Services option. This is the first thing I try when I need to refresh everything. Here’s another suggestion: change the port number used by WAMP in the httpd.conf file. 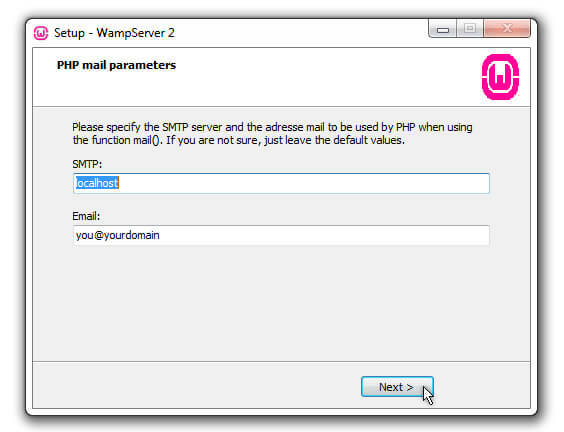 Search httpd.conf using CTRL & F.
If you’re using WAMP “out-of-the-box” you will be using it “offline”. Don’t let this confuse you. This is the default operating mode and is no way indicative of an error. Assuming you want to build a WordPress site, there’s something we need to enable under the Apache settings. These are controlled by the rewrite_module. Make sure this is checked. 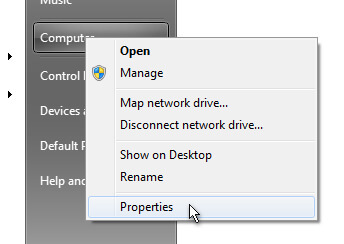 By default this is unchecked, so always check this option in any new installation of WAMP. At this point the green “W” icon in your system tray will turn amber then back to green while the Apache services reboot. The www directory is installed to C:\wamp\www\ by default. 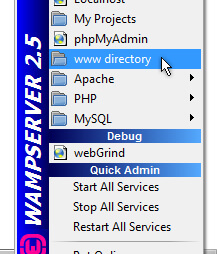 You can access this quickly via the WAMP menu in the system tray. 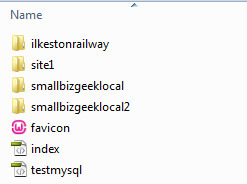 Create a new folder in the www directory and call it anything you want. For the purposes of this guide I’m calling the new folder “test”. The URL localhost/ is the address of your offline testing environment. When your site is uploaded to your host you change all occurrences localhost/ to your domain name. To open up the localhost homepage, click the green “W” icon in your system tray and choose Localhost. You will be presented with the localhost homepage in a new browser window. Because we’re going to download and install the latest version of WordPress, we first need to set up a new MySQL database. 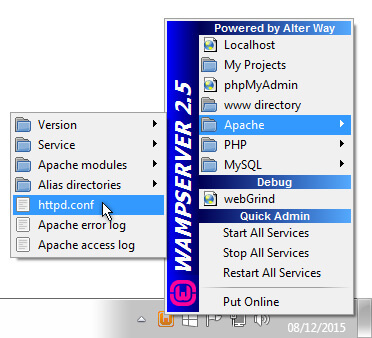 WAMP comes with phpmyadmin (a database management tool with a graphic user interface). This particular tool is not everyone’s cup of tea when it comes to databases, but it IS pretty common. I can tolerate it. 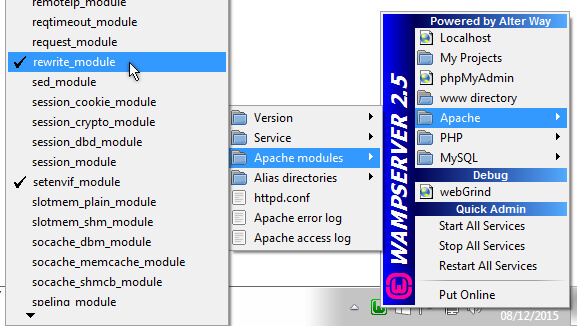 Let’s get started by creating the database inside WAMP using phpMyAdmin. 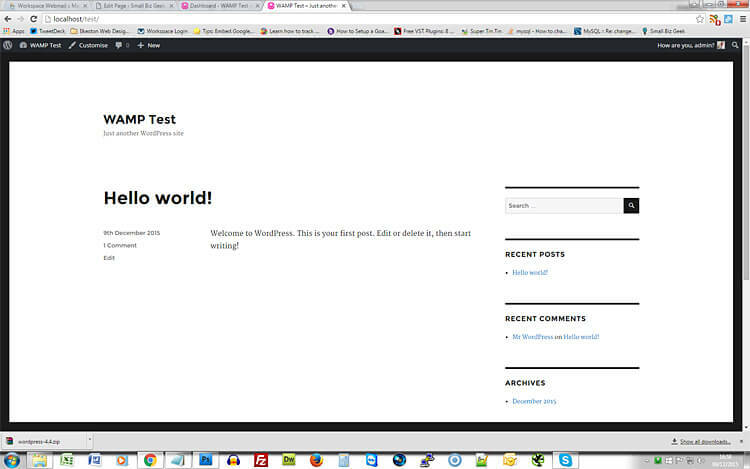 Visit localhost and click the blue phpmyadmin link. Alternatively, use the menu from the system tray icon to access phpmyadmin. 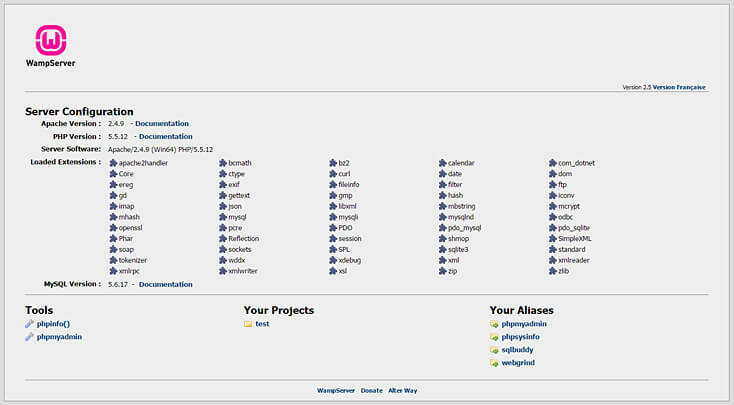 The phpMyAdmin interface will open. Click the Databases tab. 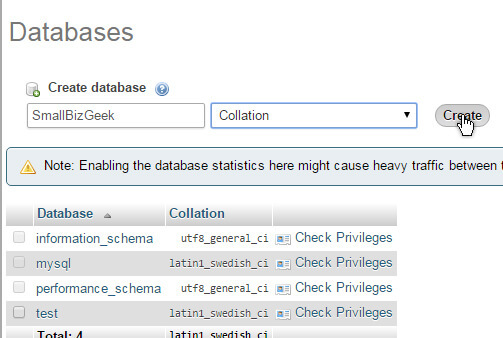 Now create a database, giving it a name of your choosing. You can call it anything you want. If you use uppercase characters, they’ll automatically be come lowercase when the database is created. Use WordPad (comes with Windows) or Notepad++ (free, open source, excellent). FYI – with any new 'localhost', the username is always 'root' and the password is blank, indicated by the '' characters. 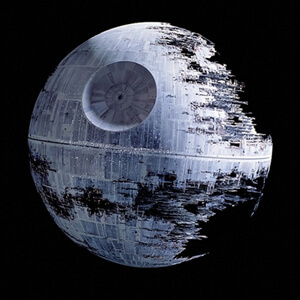 You’ll be presented with the WordPress installation screen. Add a site title. Enter a strong username and strong password. Make a note of these credentials and keep them safe. Check the front page to see everything is working. 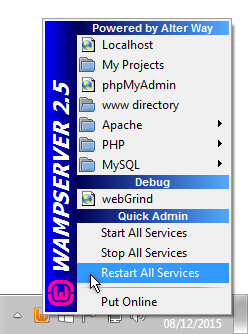 One thing that is useful to know is how to backup your WAMP server. You want to regularly make copies of the all-important www directory as well as the MySQL folder containing the databases. I say this because I recently had to reformat another machine that had WAMP installed. Before wiping everything I copied the entire C:\wamp\ folder to my external USB drive. Although you should copy the entire folder, there are actually only two folders you’ll be needing. It’s possible to upgrade the software to a later version. Rather than do that, I installed the newest version separately and in its own folder. There are now two shortcuts pinned to my Windows Start Menu. I copied the contents of the www folder (the directory files) and the entire data folder (the database files) into the corresponding locations in the newer installations. This is the safest way to run it as far as I am concerned. There are/were some discussions on the WAMP forums about installing the latest version. I always liked InstantWP because it is portable and self contained. 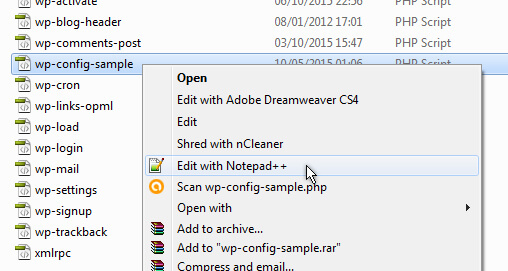 If you’re collaborating with a developer, you can zip the Instant WordPress folder and email it to someone. It turns out WAMP is also pretty easy to use if you collaborate with other developers. First, you both need to have WAMP installed. To pull up another developer’s work, you need to receive and copy the two folders I mentioned a minute ago into your the corresponding locations. Are you working with someone on one site? Do you just need the data for that one WordPress installation without disturbing your other sites in WAMP? In that case, phpMyAdmin can be used to export the database as an SQL file. You can zip it to compress file size. 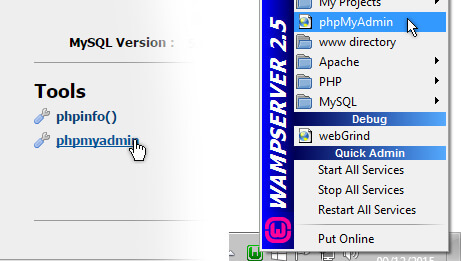 Send the database to another WAMP user together with the corresponding website folder from the www directory. Once you start cloning and migrating sites that use a MySQL database, you’ll need to know how to change all instances of URLs in the database. If you know how to use SQL queries, you can go into phpMyAdmin and run some manual commands that replace all URLs. There’s a tool that won’t break the serialised data (aka the hardcoded data about length of a URL inside an SQL file) and it’s free. It’s a script called Search Replace DB Master. 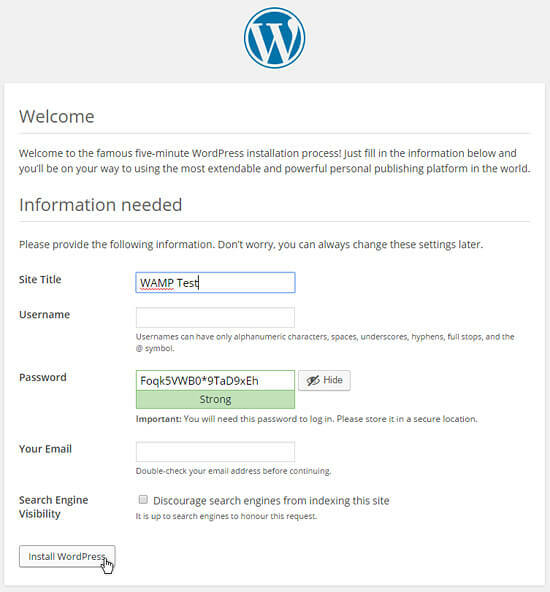 It is placed in the root directory of your WordPress installation, either on a local or remote host. You load it in your browser and search your database for all instances of a particular URL to change it to a new one. The video does mention the fact that you need to manually change the two rows under wp_options. It’s free, it’s powerful and it’s not just for WordPress. 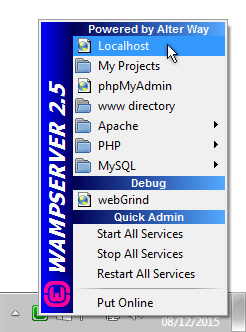 WAMP is going to be my localhost of choice for a long time. The benefits for me are peace of mind. Knowing what I can do in terms of development and testing gives much confidence and plenty more options.